How you can minimise the risk of injury when skiing? Follow our ski safety tips to ensure you arrive at the bottom of the slopes in one piece. 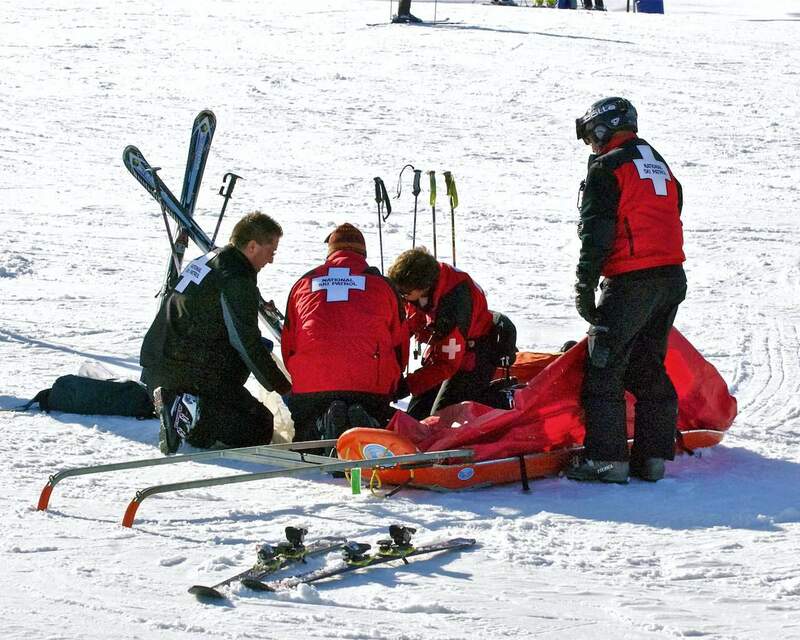 There’s no denying the exhilaration and adrenalin rush of skiing but accidents can and do occur. According to research commissioned earlier this year by Post Office Insurance more than a third of British skiers (surveyed) had sustained an injury on the slopes. Out of the 4,544 skiers questioned, 19 per cent suffered broken bones and pulled ligaments, while another 19 per cent got away with cuts and bruises. So, how you can minimise the risk of injury? It may seem an obvious question, but some forget to give themselves a body scan before heading off. If you have a heart condition or dodgy knees or you are simply unfit perhaps skiing is not for you. It takes practice to gain confidence and control on the slopes. Mobility, endurance, and coordination are all important qualities. Racing down the slopes is not much fun if you’re out of control. 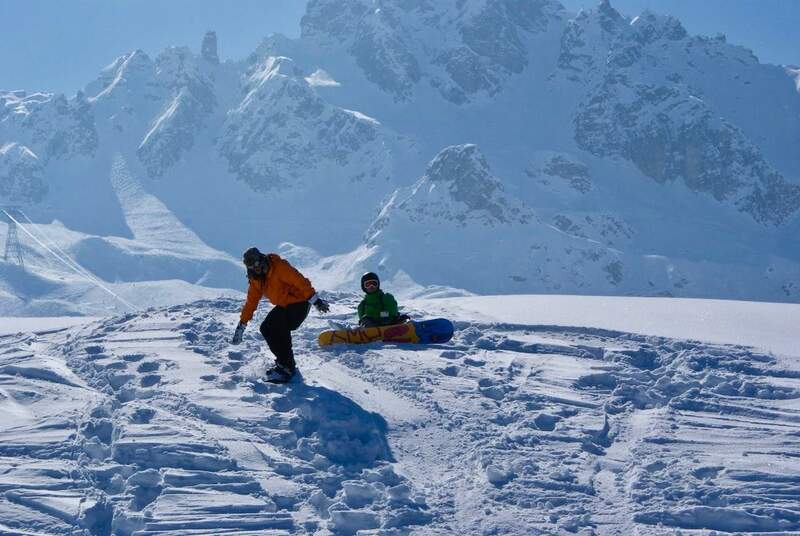 If travelling in a group that includes beginners or intermediate level skiers, choose destinations that offer “blue” and “red” runs as well as the the more challenging “black” pistes so everyone is catered for. Shockingly, around half of the British skiers who took part in the Post Office Insurance survey admitted they hadn’t purchased travel insurance for their most recent winter sports holiday. While it may seem like yet another expense, travel insurance is an absolute must, especially as Brexit is ever looming and the European Health Insurance Card may no longer be valid for Brits. The cost of medical bills for a ski accident can reach several thousands of pounds, particularly if you need to be rescued by a helicopter. Choose a travel insurance policy that covers winter sports and off-piste skiing too and include all your existing medical conditions – any omission could void the policy. The Fédération Internationale de Ski (FIS) spells out the ten rules of conduct for skiers and snowboarders worldwide. They are designed to keep you safe. In general, the rules dictate that while on the slopes, you must act in a responsible manner, ensure you are always in control and take into account the possible mistakes of others – much like when you’re driving a car. Even well-prepared pistes can get icy so you’ll need to practice the art of going slow. Most head injuries can be avoided by wearing a helmet, and in many countries it is now a requirement to do so. 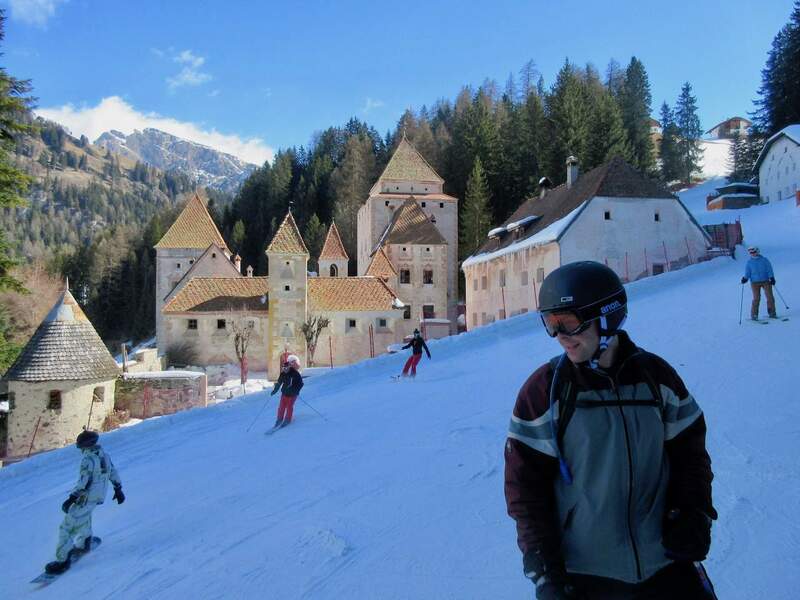 Specialist helmets (EU Standard EN 1077) can be either purchased or rented at the resort, and have the added benefit of keeping your ears warm on the slopes. Helmets are still a relatively new addition to skiing, and some people find them cumbersome. I only wore one for the first time in 2015 and this also happened to be the year I was knocked over by another skier and broke my collarbone. I also bashed my head on my ski during the fall, resulting in a dramatic crack in my helmet but no head injury – this was all I needed to appreciate the importance of wearing one! What else should I bring/wear? Ski goggles: These will protect your eyes and enhance your vision on the slopes. They are also more comfortable to wear over your helmet than sunglasses. Choose goggles that at least protect your eyes from UV rays, airstream, precipitation and sharp objects. Goggles with polarising lenses are excellent in low visibility. 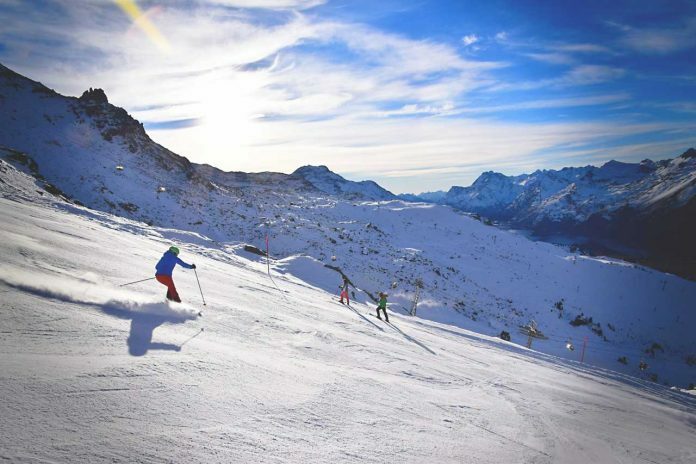 Sun cream: Regardless of whether the sun is out or not, put sun cream on your face before you get on the slopes. Top tip: Don’t put moisturiser your face in the morning as this can freeze in cold temperatures and if amplified by the wind could even give your frostbite. Warm clothing: As well as ski trousers and jacket, wear multiple layers and invest in a quality pair of ski gloves (with room to wiggle your fingers) to keep your hands warm and protected from wind chill. Thermal underwear is highly recommended, and should be made from synthetic material or wool (not cotton). Back protector: Though not a requirement, back protectors are a must if you suffer from a back problem or if you are a freerider/freestyler. Protectors should have plenty of ventilation and meet the European CE EN 1621-2 standard. Backpack: If you want to carry things with you like your phone, camera or water bottle, wear a small backpack that is durable, waterproof and snow proof. Make sure there aren’t any loose straps or buckles as they can get caught up in the ski lifts. Dare-devils may enjoy skiing off-piste especially as modern skis can carve through thick powder easiiy. Novice or intermediates who want to give it a go, take an expert who knows the area and can help if you get stuck. Remember that when skiing off-piste, you do so at your own risk and are fully responsible for yourself. Make sure you assess the dangers in advance, including avalanches, changes in weather, glacier crevasses and snow quality. It is also very important to check that your travel insurance includes a clause for off-piste skiing. Any further questions about safe skiing?